As everyone has realized by now, times are tough for the economy all over the world. People are not spending as much money and there is simply not as much work to go around. This has been particularly hard on small boutique service companies. Independent web designers, Internet business consultants, and a myriad of other small technology businesses have all experienced a large decrease in the amount of their business recently. With fewer clients coming with new business, revenue streams are drying up for small businesses. Such businesses typically have high fixed costs and low marginal costs. In other words, the business costs do not really depend on the amount of work that they do. Therefore, with less work, these small businesses are experiencing massive decreases in profit that often result in net losses. For small business owners, this is disastrous. Their profit is what puts food on the table. Their profit is their salary. Due to all of this, small technology businesses are frantically searching for new sources of revenue. One of the sources that they have stumbled upon is reseller web hosting. While web hosting has been affected by the economy just like everything else, there are numerous factors that make it an easy industry for a technology company to expand into. These businesses figure that their offerings are similar enough to web hosting that they can offer a new service to existing clients as well as open the opportunity for a fair amount of new clients. With technological know-how and a good host, reseller web hosting is very easy to pick up. All associated costs—other than learning time—are almost negligible. With this basic knowledge, entrepreneurs that are already proficient with online technology quickly develop a new profit strategy that begins to rely upon the previously unknown reseller web hosting. The result has been a marked increase in the number of reseller web hosts recently. Everyone is attempting to set up shop in their small corner of the market. Fortunately, most of the companies that are entering the market are small enough that they have not had a significant negative impact on the existing players in the web hosting field. Reseller web hosting is playing a larger role in many companies’ profit and revenue strategies because it can be operated at such a high margin. Reseller web hosting can be rented for literally less than $10 a month. The only other cost that a business experiences with reseller web hosting is the amount of time that it invests in developing its reseller web hosting program. Fortunately for the businesses trying out reseller web hosting, the one resource that they have plenty of now is time. Because the economy has reduced the amount of work for these small firms, they find that they do not have enough business to fill up a full work day. By putting more attention and time into a reseller web hosting program, they can essentially convert their free time into additional revenue—and therefore profit. Because reseller web hosting takes little work in and of itself, the time invested into making it a success goes more toward the marketing and sales aspects. Many technology companies can draw upon their current customers as a solid base to launch their reseller web hosting offerings. Since they offer one technology service, it is not a stretch for the clients to trust that an additional technology service will be of equal quality. Unfortunately, the bad economy also decreases the amount of additional revenue that can be gained from additional clients. What reseller web hosting is really helping these small businesses with is getting more people in the door. When a firm is attempting to sell its services to a client, the reseller web hosting is simply another offering that they can boast of in their services. It makes it that much more likely that the firm will be able to get new clients in the door. Once reseller web hosting has brought a new client to the business, the possibilities for further revenues are much higher. While a client might not have been tempted by the standard offerings of a company (graphic design, for instance), once it has bought into the reseller web hosting program, it might be more willing to also agree to additional services from the same provider. Sadly, reseller web hosting is not the miracle money maker that many companies had hoped it would be. While it is easy to set up and manage, costs little money, and has a high margin, it is also a poor investment of time. The only truly successful web hosts are the ones that offer streamlined services to large quantities of customers. The “soft” factors that a small company can offer with reseller web hosting are not attractive enough to overcome the low prices offered by the larger firms. What reseller web hosting ends up doing is draining the time of small technology companies. While the bad economy and slow business have increased the amount of down time for many businesses, it has also opened the opportunity for valuable usage of that time. A small company can use that time to reevaluate its business model, service offerings, or current capabilities. Necessary free time can be used for training or infrastructure development. While these usages of time do not contribute to the short term profit margin, they ensure that when business returns with the upswing of the economy, the small company will be able to ride the upswing and grow to levels much higher than when they started. While the short term may seem more important to many small companies now, the reality is that nearsightedness is what causes the failure of many small businesses. The credit market is beginning to thaw and loans are becoming available to keep businesses afloat during these hard times. Small businesses should recognize this and take advantage of it to position themselves best for the revival of the economy. Reseller web hosting also has a damaging effect on the web hosting market as a whole. 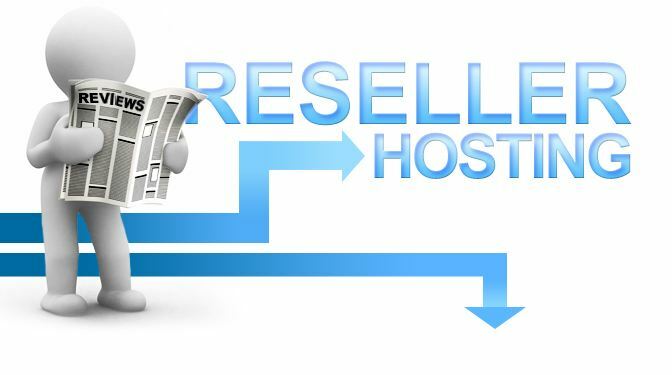 Potential customers who sign on first with a reseller web host are in danger of having a bad experience. Some resellers are unprofessional and inexperienced. The result is that they are simply incapable of offering good services to their clients. These clients will become jaded and may avoid working with web hosts (at least small ones) in the future. Although this effect is minimal, it is a potential hazard of the rapid influx of inexperienced web hosting resellers. Overall, reseller web hosting is an option for a business floundering in the bad economy. However, it may prove more effective to develop a longer term strategy that will help the business thrive five years from now, rather than five months.